I could start my review of One Direction's newest offering, "Made in the A.M.," with a slew of cliched maxims, and they would probably all be true: "What a difference a year makes." "... And then there were four." Yada, yada. Last year, I predicted that One Direction's career would eventually take the trajectory that the Backstreet Boys' career did and would go Adult Contemporary ... but not in the next three years -- not without breaking up first. Well, we lost one member, are in sight of a well-deserved hiatus that could very well lead to disbandment, and "Made in the A.M." is a HUGE step in the Adult Contemporary direction. "Made in the A.M." offers a little something for all ages and seems a little, well, directionless. After original member Zayn Malik left the group in March, One Direction felt slightly lackluster without him to give it its R&B edge, vocally, and diversity, aesthetically. It felt like an end of an era, and One Direction felt suddenly and sadly bereft of whatever glory that had carried them through their glory days. But the four guys really stepped up their vocal game on "Made in the A.M." to fill the, indeed, vast void that Zayn left behind -- Harry Styles is pulling more high notes (though what's up with the lilting of his voice on the more folksy tracks?). Louis Tomlinson's getting meatier solos, though he was once thought of as 1D's weakest singer. Niall Horan's voice, however, is the most surprising on this album -- gentler, more tender rather than boyishly playful but with that same distinctive watery (yet airy?) quality it's always had. "Made in the A.M." is the most British the British-Irish boy band has sounded since their debut Europop-ish album, "Up All Night," was released in 2010. But that's as much as the two albums have in common. "Made in the A.M." is eclectic at best, all over the place at worst. The group's third album, "Midnight Memories" was similarly eclectic, smoothly transitioning the boy band from shouty dance songs to rock and folk-driven pop, but "Made in the A.M." feels rushed in comparison and, frankly, a little derivative -- sometimes of even their own songs. The album starts off with an unexpected sound -- "Hey Angel"'s mid-'90s-like Europop intro that could've been equal parts Kylie (yes, I know she's Australian) or Robbie, complete with a mid-tempo talk-rap. "Olivia" very obviously pays homage to "Pure Imagination" from the film "Willy Wonka and the Chocolate Factory," but it also sounds like The Beatles. "Walkin' in the Wind" is one of my favorites -- it's so unexpectedly folksy for a boy band, but again, is that a sped up version of Tracy Chapman's "Fast Car" in a higher key I hear? "End of the Day" is an amalgamation of everything One Direction's ever been in one song, and is accordingly schizophrenic -- it starts out in one genre and launches into almost another at the chorus, without explanation (though, being pop music, it is still relentlessly catchy). "I Want To Write You A Song" is the only truly lukewarm song on the album, though "Perfect" and "Infinity" aren't much more than your run-of-the-mill pop songs. "Love You Goodbye" has, by far, the tightest lyrics of the entire album, but this album shows off some of the best lyrics the guys have sung so far. That said, it has fewer songwriting credits from the guys than the previous two albums (9 of 13 of the regular album tracks -- "Four" had 10 of its 12 regular album tracks co-written by at least one member; 12 of 14 "Midnight Memories" regular album tracks were co-written by at least one member). "Made in the A.M." is a weird note for the four-piece to leave on. It feels rushed and incomplete, like a small taste of the many directions they'd like to go in, but delivered without real conviction. I don't know what would've felt more comforting as a long-time listener. Maybe I wish they would've harmonized more over the past five years, but that's probably just the Backstreet Boys fan in me talking. 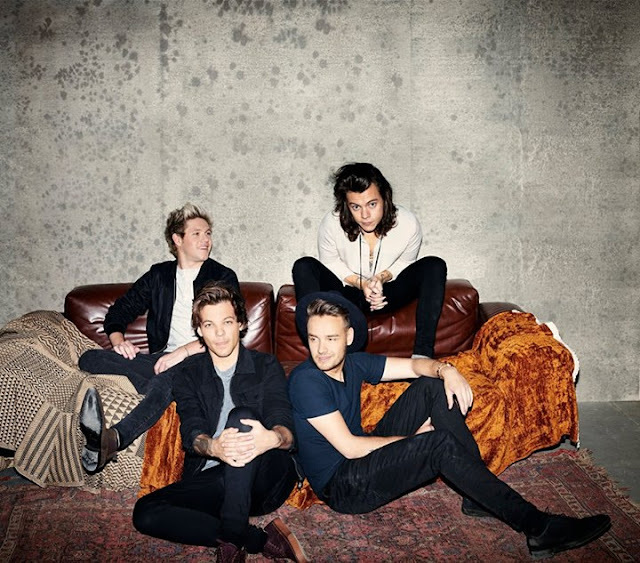 One Direction's fifth album "Made in the A.M." releases to stores tomorrow, November 13.